Results of the Berea Sandstone Petroleum System Consortium research were released to the public on May 1, 2017. Conducted in 2015 and 2016, the research focused on oil and gas production from the low-permeability Upper Devonian Berea Sandstone in northeastern Kentucky. Since 2011, production of low-sulfur, high-gravity oil from the Berea Sandstone has resulted in the region becoming the leading oil producer in the state. Horizontal drilling and hydraulic fracturing at depths of 2,500 feet or less have been responsible for the oil production from the Berea, which historically produced gas primarily in eastern Kentucky. The research was funded by eight energy companies and included significant in-kind technical collaborations with the U.S. Geological Survey and R.J. Lee Group. Marty Parris was KGS principal investigator along with co-PIs Steve Greb and Cortland Eble and KGS research scientists Dave Harris and Brandon Nuttall. Overarching research questions addressed were (1) why is oil produced from the Berea at shallow depths in an area where source rocks—the overlying Mississippian Sunbury Shale and underlying Devonian Shale—are interpreted to be thermally immature for oil or gas generation and (2) what sedimentologic and diagenetic factors influence the storage and flow of oil and gas in the Berea reservoir? The first question was answered with geochemical measurements that analyzed the bulk and isotopic composition of gases, oils, and organic matter extracts; and biomarker profiles in the oils and extracts. Meanwhile, answers to the second question were addressed through an integrated analysis of outcrop, core, and well-log data to interpret sedimentologic and diagenetic controls on porosity and permeability. 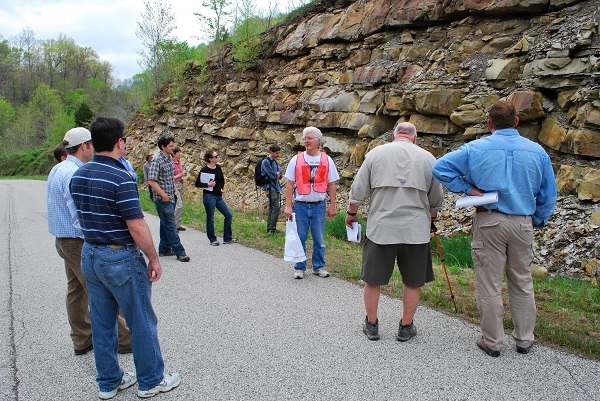 Key findings show that organic matter in the Sunbury and Ohio Shales are geochemically similar enough that either formation or both could have provided oil to the Berea. The thermal maturity of these shales is too low, however, for significant oil generation in the immediate area of oil production (thermal maturity of a source rock is a measure of its stage of oil and gas generation). Alternatively, generation at higher thermal maturity followed by migration of oil over a potential distance of tens of miles into the productive area is supported by a number of the geochemical measurements. 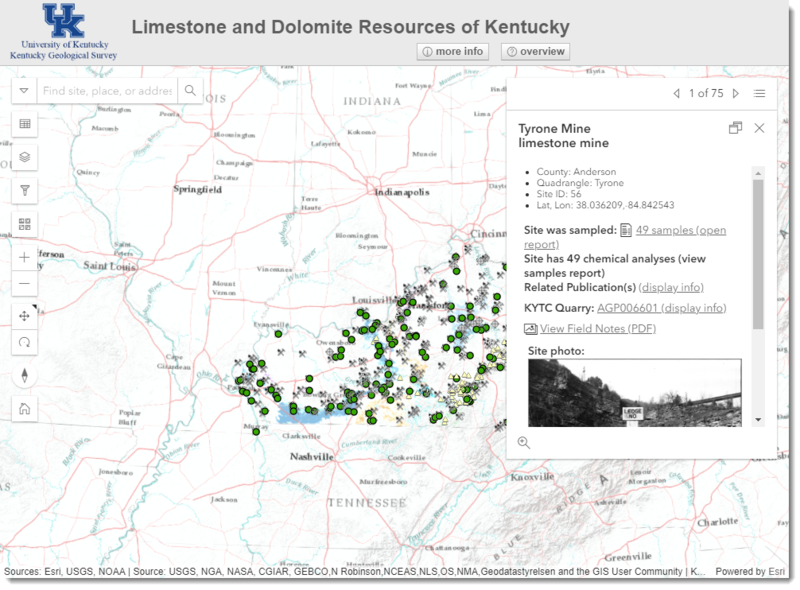 Beyond this study, recognizing the role of migration provides a basis for reassessing other prospective shallow reservoirs in which source rocks are immature, in and outside of Kentucky. Analysis of Berea Sandstone outcrops shows that lateral reservoir continuity is influenced by bed dips on clinoforms, folds, faults, glide planes, and a variety of soft-sediment deformation features. The transitions could be mistaken for passing out of the target reservoir into a capping or underlying shale while horizontal wells are being drilled. Small average grain size (silt to very fine sand), a complex diagenetic history, and microporosity associated with detrital and authigenic clays contribute to low permeability. The presence of a small and complex pore network is demonstrated by mercury injection capillary pressure measurements that show pore throat diameters of 1 to 2 microns for porosity greater than 11 percent and 0.1 to 0.6 microns for lower-porosity samples. Results from the study are currently in press for peer-reviewed journals and will be presented at the AAPG Eastern Section annual meeting in September (http://mapwv.gov/ESAAPG/). 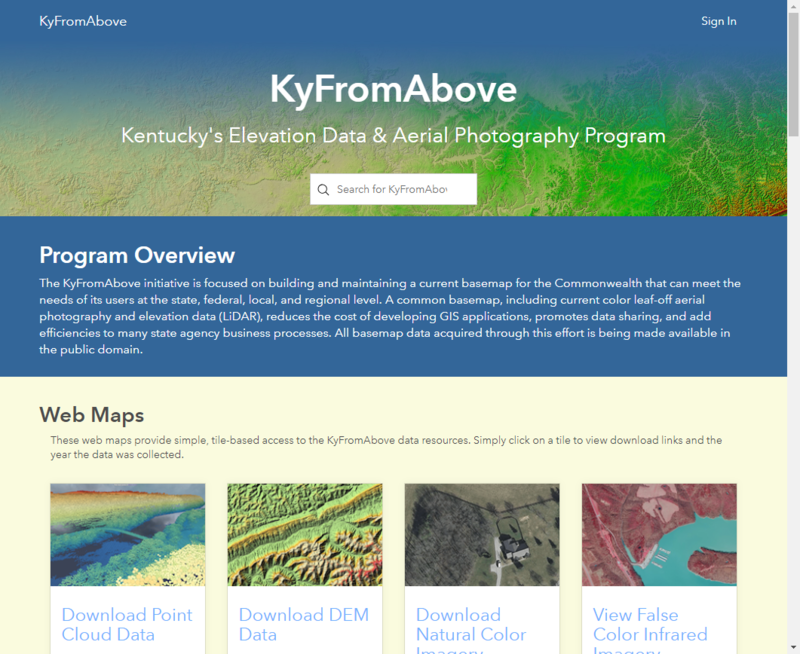 Anyone interested in seeing the final report in digital format can contact Mike Lynch at KGS, mike.lynch@uky.edu, or (859) 323-0561. 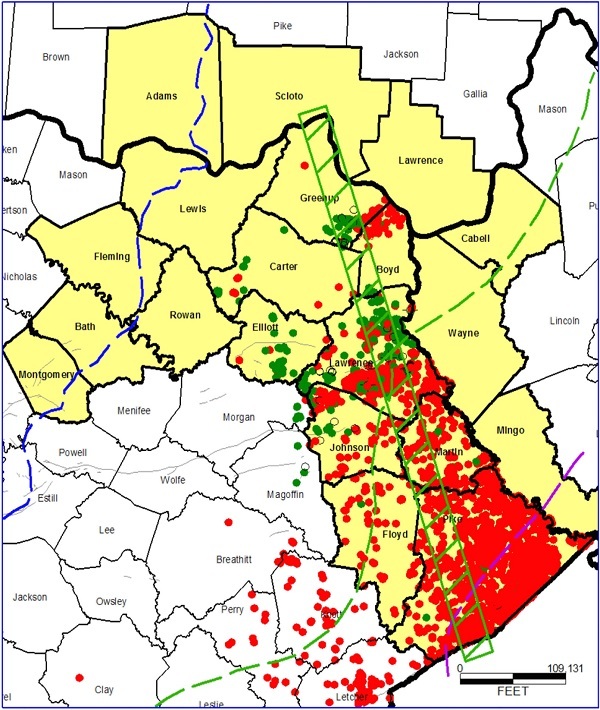 Berea Sandstone study area and geographic distribution of Berea oil and gas wells in eastern Kentucky. Steve Greb, of the KGS Energy and Minerals Section, led project partners on a field trip in the study area.